PRP: To protect our rights when the Trump Administration doesn't! Public Rights Project is a new nonprofit formed to fight back against the federal attack on our rights. We help states & cities protect their residents' legal rights. Help us launch! Thank you for helping us hit $10k! Let's push to $30k! In the last few weeks, the Trump Administration has hung a flashing “CLOSED” sign over the front doors to our justice system. We can’t wait until 2018 or 2020 to do something about this. 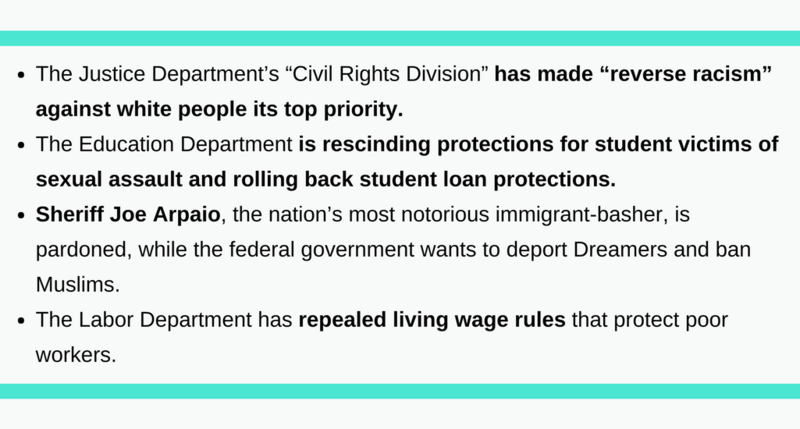 As the federal government abandons its role of ensuring “equal protection under the law,” states and cities are now on the front lines of protecting the legal rights of the most vulnerable. But they need reinforcements. That’s where we come in. With more firepower in partnership with us, states and cities can fight back. Progressive mayors, attorneys general, and other public lawyers can bring more key lawsuits to resist the administration. Together we can bring the cases the Trump Administration won’t: the cases challenging police abuses against communities of color, the environmental devastation being ignored by the EPA, the immigrants unfairly targeted and “banned” for their religion. We cannot allow injustices to go unchecked simply because the federal government is MIA. I know firsthand what power states and cities have to protect people’s rights. When I was at the San Francisco City Attorney's Office, I was lucky to be a legal fellow on the trial team fighting for marriage equality in the Perry case. Later, working for Kamala Harris in the CA Attorney General's Office, I helped finish off the case in the Supreme Court, where we ultimately won marriage equality for CA and later for the country. I built and led the Bureau of Children’s Justice for California, the country’s first specialized division in a state Attorney General’s office dedicated to the civil rights of children. We have a generous donor who's committed to matching every dollar raised up to $10,000. That means we could raise $20,000, or 4 months of a stipend for a talented legal fellow. With your help, we can get off the ground. 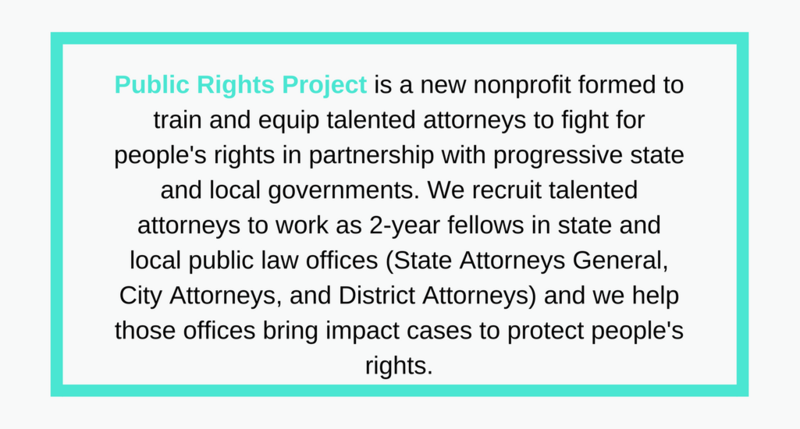 We believe every city and state should have a public civil rights law firm for its People. You can help us launch PRP to make it happen!